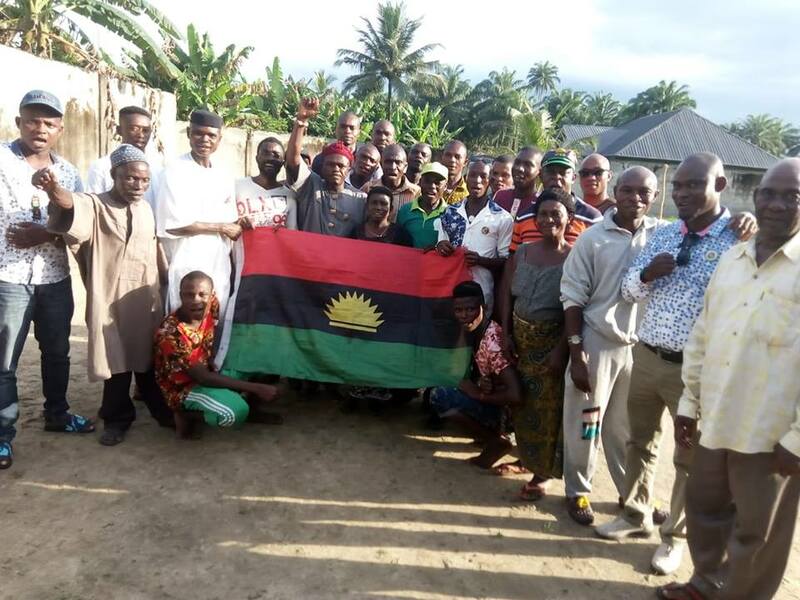 The Indigenous People of Biafra (IPOB), in Ojoku - Ekpeye, Ahoada West, held sensitization meeting on Sunday 7th October 2018, in respect of the upcoming Biafra referendum/ restoration project. The event afforded Biafrans in this part of Biafraland, the ample opportunity of getting detailed information about what referendum stands for. The brethren were made to understand that their Igbo brethren were never their problem as was erroneously painted by the agents of division. They were made to understand that their enemies are the Hausa-Fulanis and their Yoruba counterparts who have over the years, been the predators and beneficiaries of the rich natural resources deposited in their land. The brethren were pointedly told that the total restoration of the nation of Biafra, remains the only panacea to the prevalent suffering, impoverishment and enslavement in the land. The restoration of the sovereignty of the nation of Biafra, will unreservedly give them, 100% control of the resources in their land which the Nigerian government has over the years been tapping with no commensurate benefit accruing to the indigenous land owners. 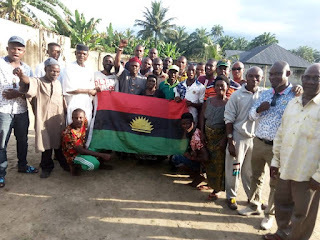 The Ahoada West Senatorial district coordinator, Mazi Goodluck Agbolam advised the brethren to make this Biafra restoration project, pivotal, stressing that they are incontestably an integral part of the old Eastern region before the balkanisation of the area by the Nigerian government. He drew their attention to the historical fact that they were neither Hausa-Fulanis nor Yorubas but wholistically Biafrans by natural design. Mazi Goodluck Agbolam enjoined the attendees to discountenance the false, old and divisive story of enslavement/maltreatment by their Igbo brethren during the Nigeria/Biafra war which was fought between 1967 and 1970. They were also encouraged to remain resolutely focused and not give in to the temptation of some misguided/grossly uninformed persons urging them out of the struggle for fear of marginalization by their Igbo brethren. He urged them to open their eyes to the antics of the Hausa-Fulanis and Yorubas who own the oil wells within their area, impoverishing them and denying them of what is rightly theirs. These are the enemies causing divisions and conflicts amongst the us. The need to fully embrace the gospel of Biafra restoration for a better and progressive future was equally stressed. A handful of the brethren who had the opportunity of listening to the IPOB leader, Mazi Nnamdi Kanu on Radio Biafra London broadcasts praised the efforts being made by the IPOB to deliver them from ignorance of many generations. They categorically voiced out against the spate of evil the people of the land have suffered in the hands of the enemies. 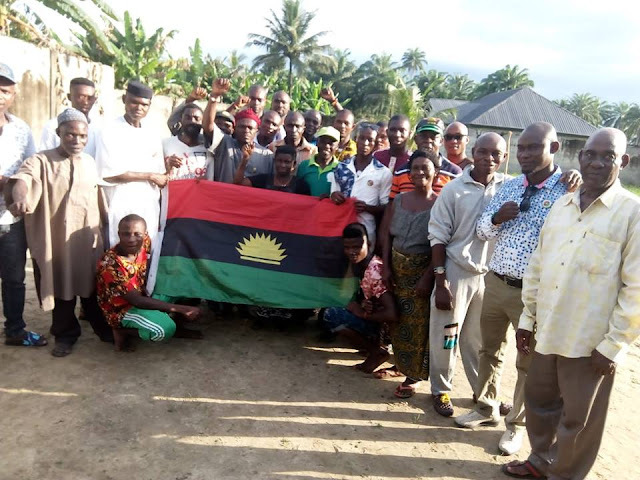 Realising their identity as Biafrans, the people pledged their total and unalloyed support to the upcoming Biafra referendum/restoration projects. They openly proclaimed their rejection of Nigeria from henceforth, assuring that they will tenaciously work for the restoration of Biafra, their only hope of survival as a people. I can authoritatively report that the Ekpeye people in Ahoada West Senatorial district of Biafraland, have wholly welcomed the Biafra restoration gospel. The situation can never ever be the same again as a witness to what transpired in the meeting. The most emotion-laden statement made by Mazi Goodluck Agbolam, the Senatorial district coordinator of Ahoada West was and I quote: "We were all inhabitants of the Eastern region before they partitioned us and gave us what is known today as South-South and Niger Delta. No, it can no longer be".